What Glass Company is the #1 Choice For Storefront Doors and Windows? At Eagle Valley Glass and Mirror, we serve customers throughout the central mountains of Colorado with the best glass service around, from glass replacement and window repair to custom glass shower doors and enclosures. While many of those services are residential glass projects, we also handle storefront glass for many businesses, both new and old, across Eagle, Pitkin, Garfield, and Summit counties. Businesses know that their storefront glass can make the difference between a customer coming in or if they just walk past. Here are the ways we can help. Storefront windows are the first thing that a customer sees, the very first impression that you can make on them. It allows them to see what you have to offer, the look of the store, and view any window displays that you spend so much time on. You can even order custom glass that will match the type of business you own. Even if you don’t sell physical wares, your storefront glass is important. A restaurant can seem more open and inviting, a real estate agent can post pictures of homes for sale. 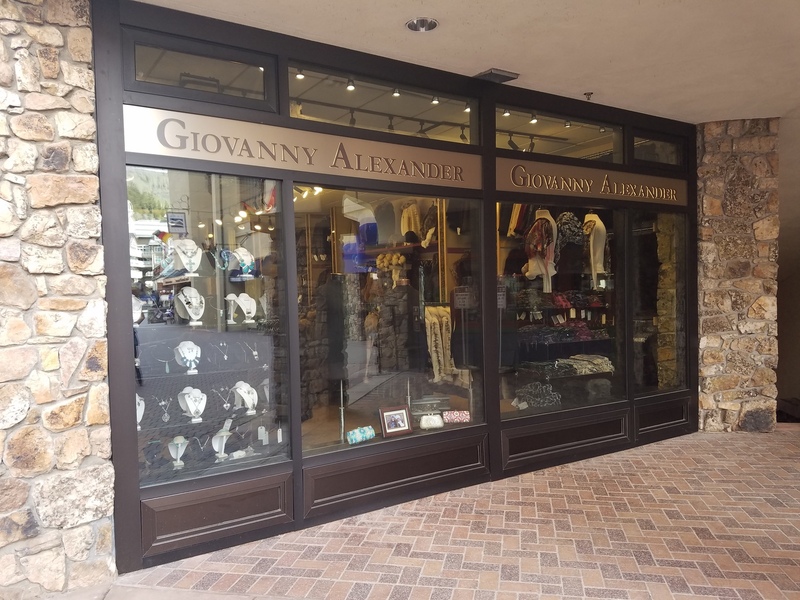 No matter your business, proper storefront glass can go a long way to making your business a place that customers want to be. Glass storefront doors have to keep the balance between looks, durability, and weight. The good thing is, Eagle Valley Glass has the experience that can get you the perfect doors to fit your business while also doing exactly what they need to do: let people into your business easily! Architectural glass is custom glass that can make your business stand out like no other. We can build with it, creating a wall that’s clear or incredibly colorful. We love working on these types of glass projects that can ensure your space is as unique as your business. Businesses count on Eagle Valley Glass and Mirror to deliver the best custom glass and installation available in central Colorado. If your storefront is looking for a glass company that can deliver, it’s time to contact us right here. You’ll be glad you did!